While you might not think much about it, what you put on your body when you're in the shower is a pretty big deal. You're probably of the mind frame where you just grab whatever is on offer in the supermarket, but we here at The Idle Man think this is the wrong way to go about things. If you want the best results, you're going to need to think about what you're using and so we've compiled a list of the five best body washes we think exist out there for you. You might be thinking that shower gels and washes aren't really up for discussion, but we really think you should take it seriously. What you put on your body is as important as what you put into it, so you might as well at least try and get the best of what is out there on the market. Luckily for you we have done this for you and have come up with the five best men's shower gels that we think exist. Whether you're after a shower gel for dry skin or after the best body wash for men with oily skin, you can guarantee that one of the below will be good for you. They are all neutral washes that are suitable for all skin types, so take your pick. 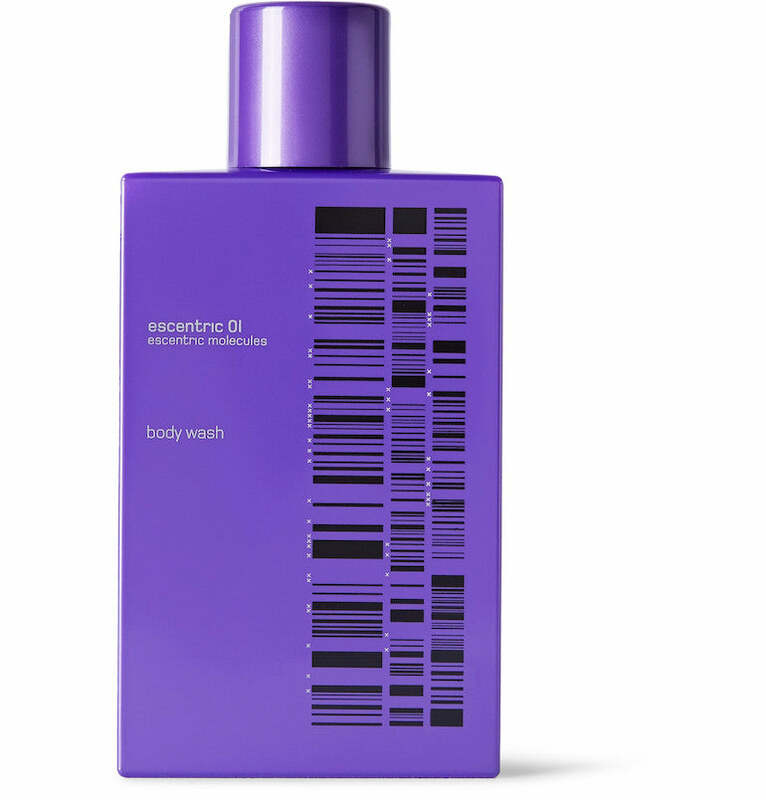 Escentric Molecules is famed for its aftershaves and scents, but its body wash is just as great. It captures the same fragrance that you get with the aftershave of the same name and completely goes against those sickly scents of those standard supermarket body washes (you know the lemons and mints that don't smell natural at all). This is a stellar body wash from a brand we would expect no less from and will leave you smelling as fresh as you will feel. Its main ingredient is Energen, which is a combination of Sapindus Mukorossi (derived from a North Indian tree, renowned for its cleansing and soothing properties) and Caesalpinia Spinosa (from Peru, a natural source of polysaccharides that have long-term hydrating benefits). These combined will leave you feeling energised. This shower gel won't just make you feel more energised, but it will (not literally) transport you to a warmer climate. The Daxon brand itself describes the shower wash as having the ability to give you the feeling that you are in a "citrus grove warming in the sun". As shower washes go, this is more of a complex one and is based on the same complexity of an aftershave or fragrance. 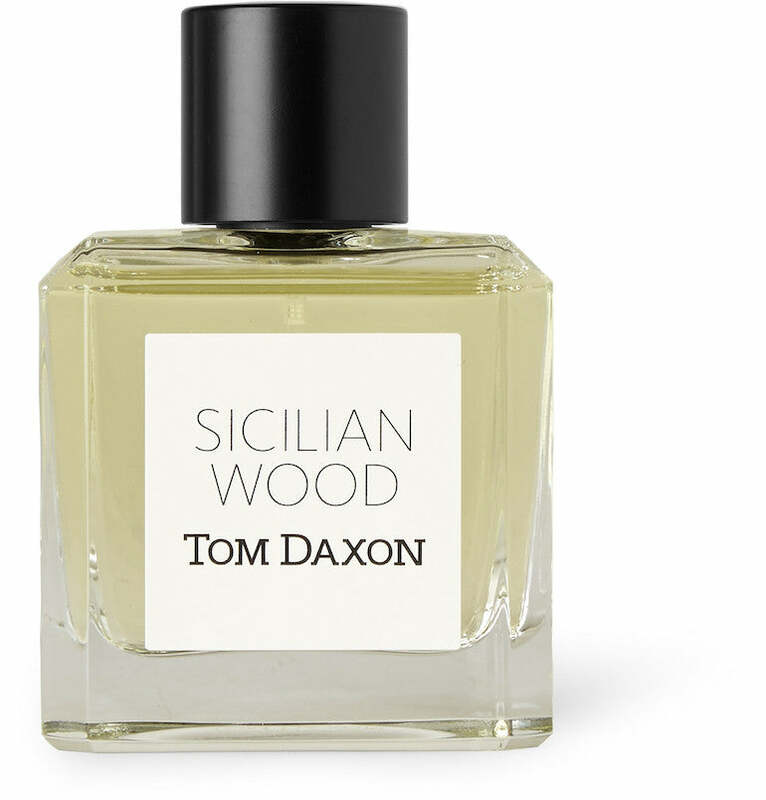 An effervescent, hyper-real citrus top note is blended into a base of seductive woods. Tom Daxon shower wash is full of natural ingredients and shies away from the bad stuff that a lot of the washes you will find on the shelves in your local supermarket use. What's more, while this may be a more expensive body wash at £30, all Tom Daxon bodycare is free from: Methylisothiazolinone, parabens, SLES, ALES, PEG, DEA, TEA, silicones, mineral oil, synthetic colours and phthalates. You can guarantee that this is the best smelling body wash for men out there. This isn't your standard shower gel. Give your body an instant hit of happy with the Get Happy Body Wash from Plant Apothecary. The body wash uses a 100% natural formulation which consists of an uplifting blend of Coconut Oil, Jojoba Oil and Geranium. These all combine to revitalise the senses and instantly awaken the body, which is ideal if you like to shower in the morning. The thick gel texture allows for deep nourishment and hydration even on dryer areas of skin, so you can ensure that your body is getting the treatment it requires and deserves. At £20, it is suitable for vegans and is also suitable for all skin types. We'd go as far as also saying that this is the best body wash for men with sensitive skin. 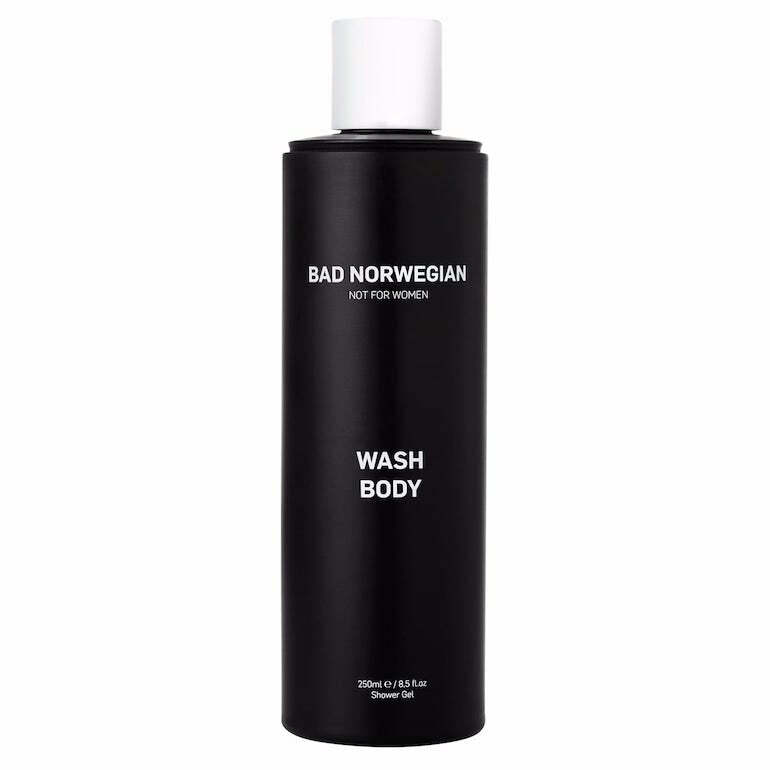 This menthol infused body wash by Bad Norwegian is definitely one of the best body washes for men. It instantly energises and refreshes the skin which makes it the perfect shower gel to use in the morning. It is also great for post workout showers as the menthol body will sooth muscle pain. The body wash is environmentally friendly and contains no parabens, alcohols, fragrance, color or silicone. None of the ingredients are allergenic or hormone distorting, and the bad Norwegian team are explicit in not testing on animals. At £29 it's not your average supermarket find, but you can guarantee that your muscles would be, theoretically speaking, thanking you should you use this post workout. Triumph & Disaster YLF is one of those rare products that actually does what it says. It is the ultimate and one of the best body washes for men's skin. It is rich in Argan oil, Rosewood, Vitamin E and Kawakawa extract. It is the epitome of ‘head, shoulders, knees and toes' and promises exactly what it delivers (which is a lot). It is the best best wash for a man who has little time, but wants to get the job done well and efficiently. As this is an expertly produced wash we won't deny that there are some tinges of a pleasant yet slightly medicinal scent. Yet these are only slight and are masked by the sandalwood and neroli infusions, giving a woody, yet herbal fragrance. The product is complex and is made of several components. For cleansing the skin and hair, Triumph & Disaster uses coconut and vegetable extracts, natural foaming agents combined with Kawakawa to provide a gentle, but thorough cleanse. The Argan oil, Rosewood oil, Kawakawa and Green tea leaf extract combination means you're getting a nutrient rich cleanse. This is an excellent moisturising shower gel that will do the trick. At £25 we thoroughly recommend this and it is suitable for all hair and scalp types, as well as all skin types. Above we have come up with our top picks for shower gels and washes, from Triumph & Disaster's iconic YLF wash to Escentric Molecules perfectly scented body wash. What is the best body wash for men you ask? Well we can't tell you for sure, but hopefully one of the five above will suit your needs and preferences.